The region Emilia Romagna is home to Pavarotti, Enzo Ferarri, Ferruccio Lamborghini, the Ducati brothers and it is the land of Parmesan Cheese Parmigiano Reggiano, Prosciutto di Parma and Balsamic vinegar. It is considered the gastronomical capital of Italy. 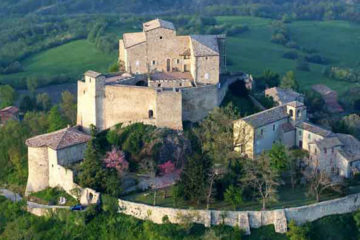 Also one of Italy's Top Cycling Destination! Cycling in Emilia Romagna means breathing the history of unique UNESCO world heritage sites, discovering ancient routes between fortresses, castles and abbeys leading through valleys, open plains and forests that are centuries old, through parks and pine forests, criss-crossing hills or following the magnificent coastline. 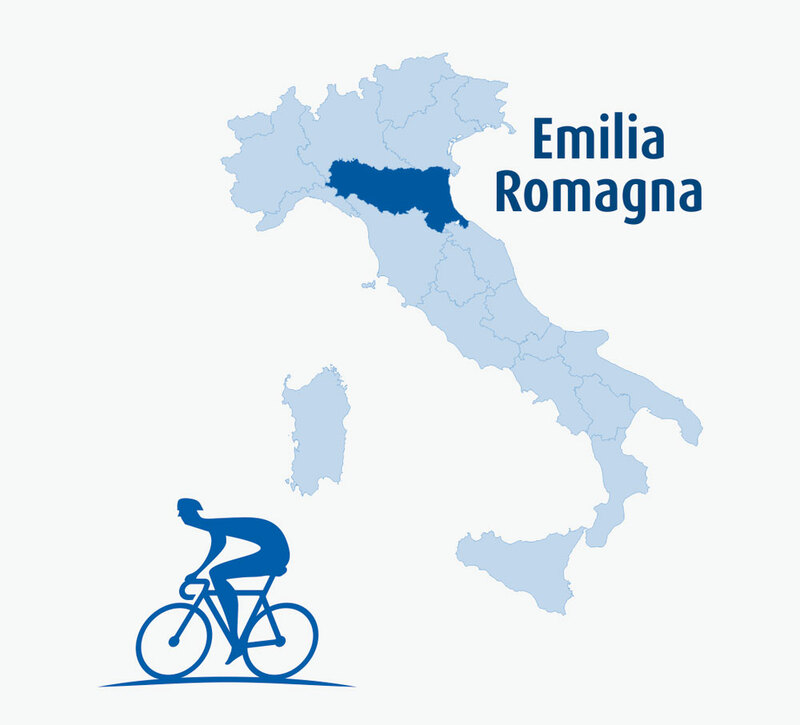 Cycling in Emilia Romagna is a unique experience due to its local traditions of this region and the wonderful synergies between culture, scenery and excellent food and wine products. Food from Emilia Romagna is rated as being the best in the world, read Forbe's article Italy's Greatest Gastronomic Treasure, Emilia Romagna. Tasting Traditional Balsamic Vinegar – one in Vignola the visit at acetaia will fascinate you! Traditional Balsamic vinegar is aged for a minimum of 12 years and some are aged up to 45 years! The vinegar is moved in small portions from barrel to barrel each year and the more aged the barrel the better the vinegar. Traditional Balsamic sells for €100 per 100 ml bottle and after learning how it is made, I can understand why.